Who doesn't love coming home to fresh flowers. Even better when the arrangements are put together by us so you don't have to lift a finger. How about flowers for a year for someone who loves blooms? You can decide the size and the frequency and we will do the rest. Edie Rose will provide seasonal flowers delivered to your doorstep each week, month or special occasion. 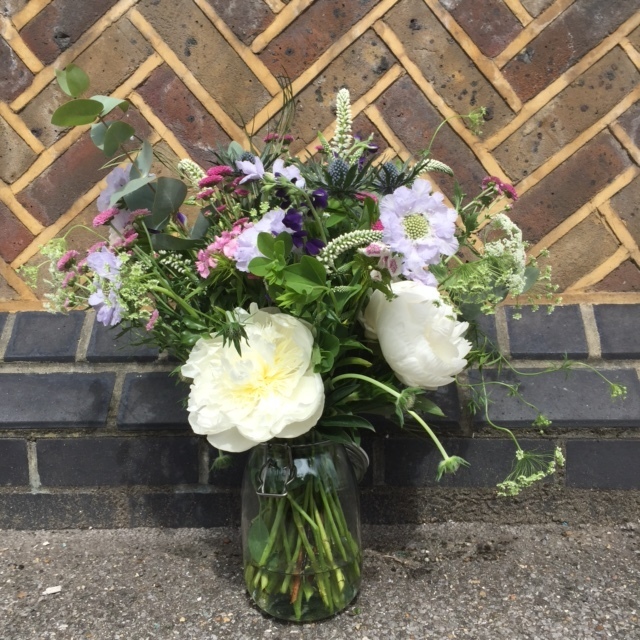 We will deliver a beautiful fresh seasonal bouquet on the 1st Thursday of every month. You can order and pay upfront for our monthly service over 3, 6 or 12 months by clicking here. If you would like weekly/bi-weekly flowers or smaller/bigger bouquets, please fill in the form below and we will be in touch. You can pay as you go via paypal, set up a direct debit or pay by card.